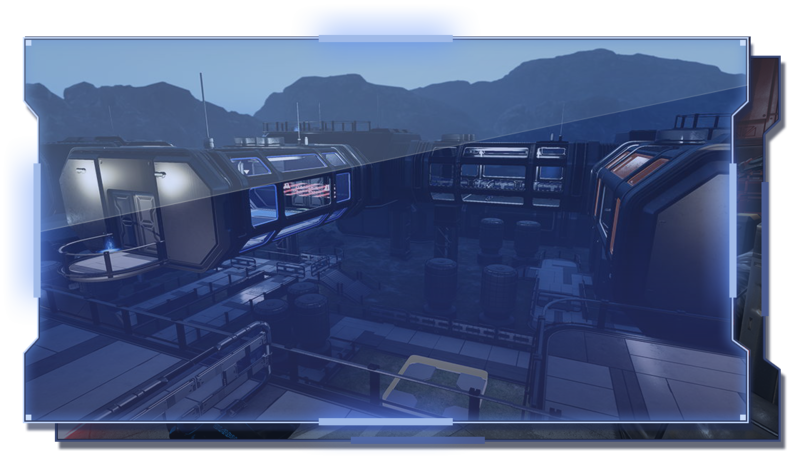 This map is set in an aircraft factory of the Ventus Cooperation. 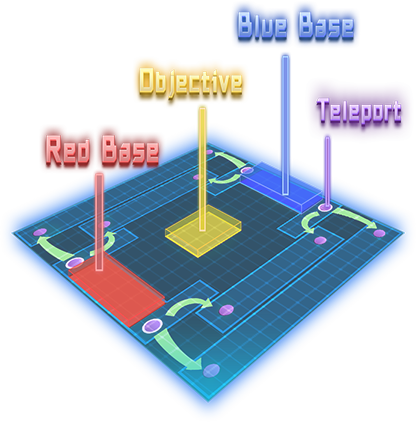 Control is the key here, unlike all other maps, only one player can teleport to the ground floor to capture the objective. His team need to cover him from above and maintain the upper hand to win the game. The Outland Territories are notoriously hostile due to their rugged landscape and sheer distance from colonized space. They're also renowned for being extremely rich in rare mineral deposit. This map simulate combat in urban conditions. While it is still under construction, the Ventus Cooperation has opened one small section in order to beta test, and it has already proven quite popular. Your enemies can teleport to your back, watch out for that! 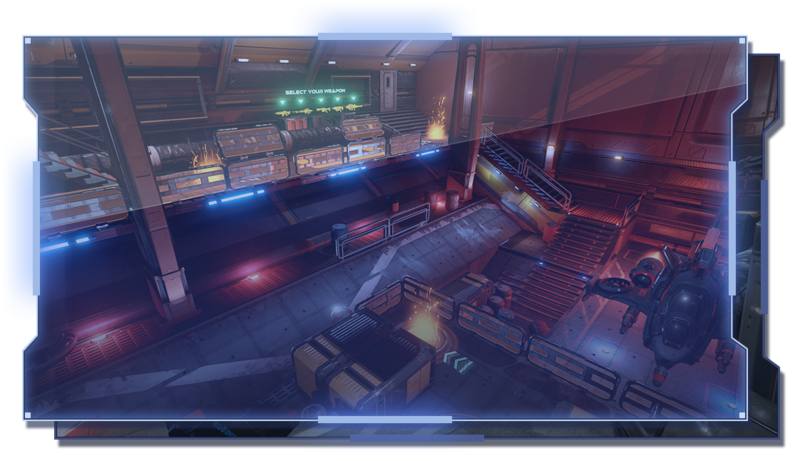 What used to be a research facility, has been converted into an arena designed for practice , throughout the arena, at each elevation a key pickup can be found, but not without considerable danger! The semi-final of the tournament took place in the central district of the city. Rooftops are highly accessible in this map, players can use them to cross entire city districts without ever touching the ground. 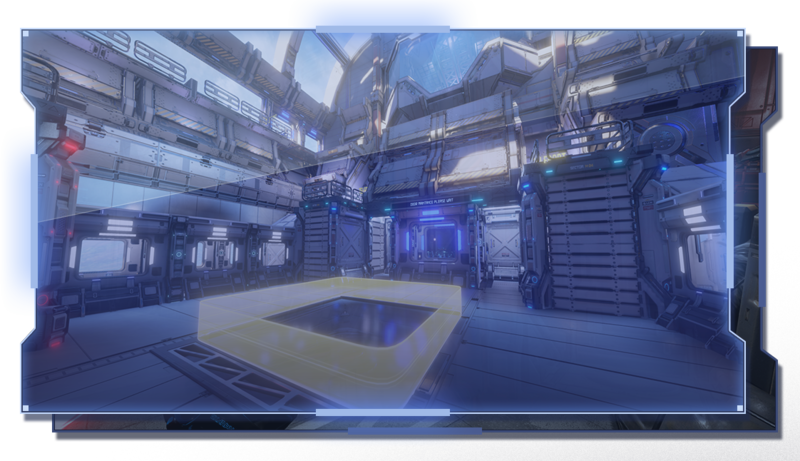 The Ventus Tournament is a PVP (player vs player) sci-fi themed shooter that focuses on team-based competitive combat. In Arena, you can engage in furious 4v4 battles and epic objectives on different maps, you also can choose from 5 weapons, each with their 3 unique abilities and incredibly different play styles. Attack helicopters buzz overhead, guns ablaze. Amongst all the chaos is a shadow group that seems to be at the root of the outbreak. Who are they? Arm yourself with assault rifles, shotguns, sniper rifles and take advantage of more powerful weapons on your mission to find a cure. 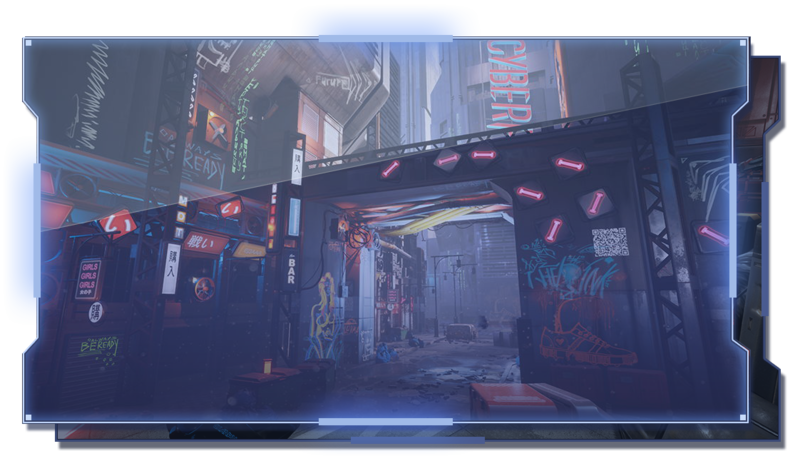 "ZERO LATENCY IS THE BEST, MOST CAPTIVATING, IMMERSIVE AND PRESENT VIRTUAL REALITY EXPERIENCE THAT I HAVE EVER TRIED." CAN YOU FIND THE CURE BEFORE IT'S TOO LATE? Create a reflective barrier which reflects all incoming projectiles for a short duration. Three rockets spiral out of your assault rifle in a single burst. Combat boost grants player higher damage and rate fire with infinite ammo for several seconds. Shoot out an barrier projector that extends a bubble-shaped field that absorbs damage until it's destroyed. Toss out a flashing grenade which explodes after a shot delay. It paralyzes enemy facing the explosion, stops them from firing and using their abilities. Toss out a high-explosive grenade, deals high damage when explodes. Construct a enemy-tracking auto turret at aimed position, the turret automatically fires at nearby enemies. Place a explosive trap at aimed position, it detonates if an enemy steps on it. Place an explosive at aimed position, player can detonate it by pressing the ability button again. 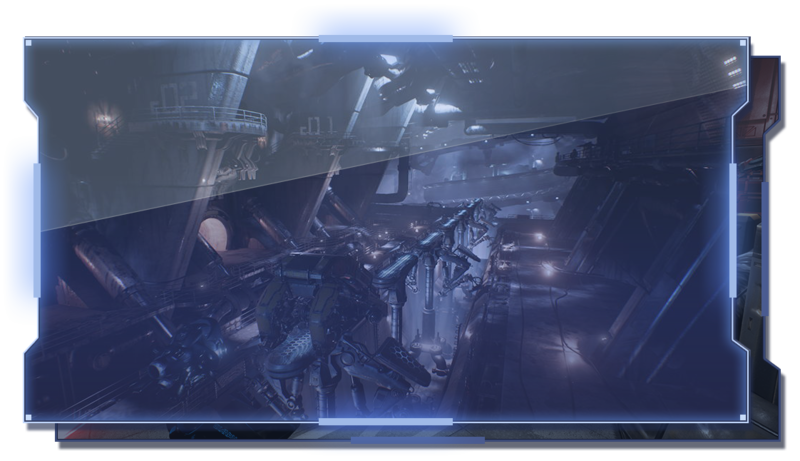 Your next shot is empowered and needs to be charged, deals higher damage and pierces through all shield. Player becomes invisible for a short period of time. 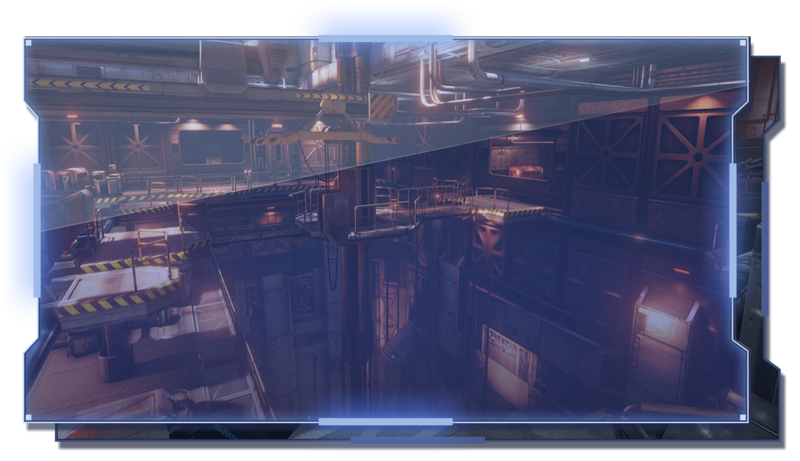 Allow player to see the heat signatures of enemies through walls and objects for several seconds. Shoot out a biotic emitter on the ground. Its energy projection restores health to player and any teammates within the field. Charge for up to 4 seconds and releases an energy ball, slowly moving towards the direction the weapon is aiming. Shoot out a ball lightning, it brings dead ally back to the fight and paralyzes enemy.